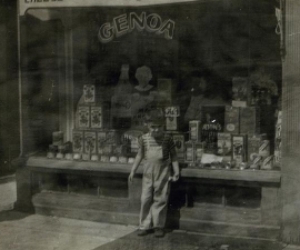 Genoa had a modest beginning as a small grocery store on Ross Street in Wilkes-Barre, Pennsylvania. 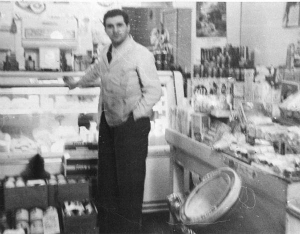 Opened in the years following World War II, Joe Nardone spent the days selling cooking oils to area hotels and restaurants while his wife Helen ran the store. Their young son, Jay, delivered groceries to neighbors using his pull wagon. As the business grew, Joe rented garages in the area to hold his inventory. At the end of the 1950s, larger grocery stores started entering the market at the same time that pizza restaurants started to open throughout the Wyoming Valley. The timing was right to pursue the opportunity to service pizzerias with the ingredients they needed. In 1960, Joe moved into his newly built warehouse at its current location in Plains, PA. Over the years that followed, his son Jay continued to add product lines, new customers, and expand the size of the warehouse. Joe’s grandson, Jay Jr., later entered the business and continued to add product lines and services, and implemented newer marketing and management techniques to assist growth and further success. 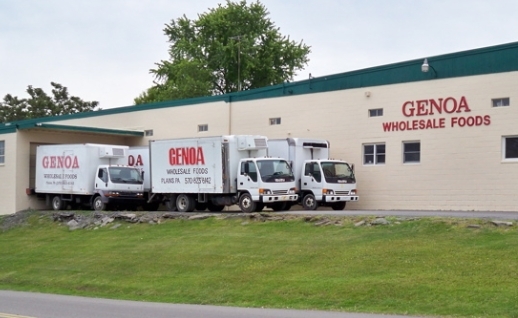 In 2006, Genoa formed a partnership between Jay Sr. and Jay Jr., and now continues to operate as Genoa Wholesale Foods, LLC. Today, Genoa carries over 500 different products and provides services to hundreds of pizzerias, restaurants, delis, and taverns throughout Northeastern Pennsylvania. With a conservative approach throughout the years and a consistent commitment to quality and integrity, Genoa is positioned to continue providing services to their customers, employees, and the community for many years to come.